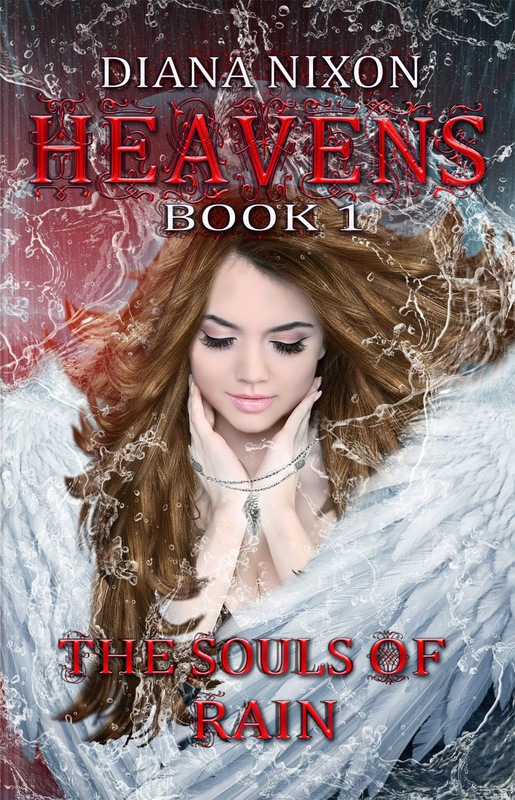 First book in the Heavens Trilogy! I am so happy to be on another of Diana's Blog tours. I love all of Diana's books so i couldn't wait to read this one. I had high expectations for this book because of how amazing Diana's bother books are and this book was far beyond my expectations. What can i say but wow wow wow! I was not expecting that. This was the first book i have Read about Angels and i loved it! As always Diana as spun a magic story of suspense, mystery and love. The story was amazing it was like nothing i have ever read! The plot was exceptional, normally i can guess the plot of a book but with this book you are constantly guessing you are given little bits of information like clues along the way but they don't make sense until the end , i was sat for the who book not knowing who to trust everyone seemed to have there secrets and motives, you are just hanging on the edge of you seat the whole time not knowing what is going to happen. its like a story of forbidden fruit! you are hoping the characters will end up together and trying to find ways to bend the rules but no that the situation is hopeless and i think that entices you in even more. In true Diana fashion the ending is a massive cliff hanger i was sat just going ' no! you cant leave it like that' i can not wait for the next book so i can see what happens next! Diana is my favorite author and i love all of the books she has written but i can not decided if this has been my favorite book yet. I loved the book! it was amazing i cant wait for the second one!